That solution, now proven as a comprehensive success, evolved from a dynamic multi-agency partnership that continues to advance state-of-the art battery technologies for current and future Army, Navy, Air Force, and NASA platforms. «Certain power technologies can present a broader application, so we turn to interagency collaboration to develop a technology faster», said Ed Plichta, chief scientist for power and energy within the Command Power and Integration Directorate under the Communications-Electronics Research, Development, and Engineering Center’s, or CERDEC. 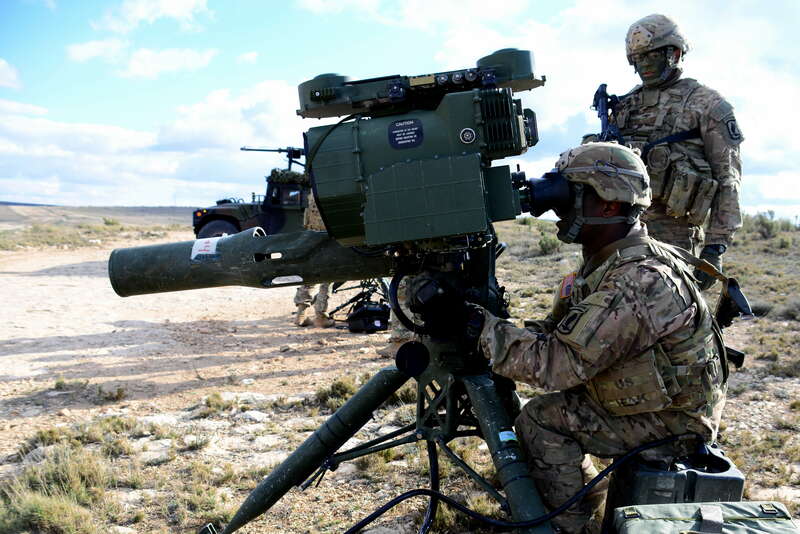 One example of this was the battery requirements for the Tube-Launched Optically-Tracked, Wire-Guided, Improved Target Acquisition System or TOW ITAS, he said. The ITAS is an advanced fire control system that operates on a tripod platform, which can be dismounted or mounted on a vehicle. Soldiers in the field were using silver-zinc batteries to power the TOW ITAS, but those batteries lasted for only three months and the replacement cost for each battery was more than $4,000. «It took Soldiers in the field 16 hours to manually fill and activate the battery through a charging process», Plichta said. «Additionally, compared to the three-month lifespan of the silver-zinc batteries, the lithium-ion battery offered a three- to five-year service life per battery». When the U.S. Army Aviation Mission Command, or AMCOM, first contacted CERDEC for help with powering the ITAS TOW, Plichta’s team was already part of a government/industry/academia partnership created to advance what was then the newly emerging lithium-ion battery chemistry for the Army. «When my AMCOM counterpart called, our industry partner was already looking to build large-scale lithium-ion cells to potentially use in electric vehicles, aircraft and space satellites», Plichta said. «They had developed a large format 40 Amp-Hour cell for this purpose, and it seemed to be the right size for the power and energy needed to drive the ITAS». With many years now separating the first prototype to the fielded capability, AMCOM has been able to thoroughly assess the chemistry’s impact on missile defense. «CERDEC’s lithium-ion battery chemistry has been an incredible success both from support, performance and cost perspectives, especially considering we have achieved a $100 million cost avoidance», said Lawrence Ingerson, U.S. Army AMCOM TOW Deputy Product Manager. «With more than 500 systems in theater at one point, I honestly believe our Soldiers would have been at a disadvantage if silver-zinc had been our only power source». CERDEC and its partners also produced lithium-ion battery chemistry that continues to power the F-22 fighter and the original Mars rover; and it is planned to power spacecraft, additional rovers, orbiters and lander vehicles for future space missions to Venus, Jupiter, Saturn, and beyond. «The CERDEC Power Division continues to play a pivotal role in advancing lithium-ion battery chemistries, including our work towards advancing tactical energy independence for dismounted Soldiers up to powering future platforms», said Beth Ferry, division chief for the CERDEC CP&ID power division. «We envision many exciting uses for it over the next several decades». CERDEC’s collaborations with the Navy, Air Force and industry are currently exploring hybridized power for components of the Army’s proposed Future Vertical Lift program, which aims to develop the next generation of military helicopters with advanced protection systems, Plichta said. These advanced hybrid energy storage systems will also power all-electric systems and platforms, including electric vehicles, ships and aircraft. «History teaches us through examples like the great inventor Thomas Edison that through an innovative, collaborative culture, ideas truly become successful products», Plitcha said. «When people come together within the right circumstances, they expand their individual knowledge and achieve great things».